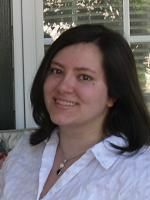 Angela has published in Strange Horizons, Crossed Genres and the Anywhere But Earth anthology (forthcoming). She has lived in Italy, Fiji, England, India and now Boston. 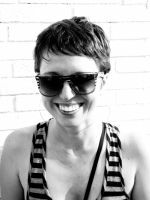 When not writing science fiction, she reviews movies at her blog, the Post-Punk Cinema Club. 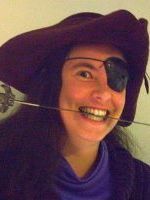 Mishell is a graduate of the 2009 Clarion Science Fiction & Fantasy Writers’ Workshop, and maintains the workshop’s official blog at http://clarionfoundation.wordpress.com when she isn’t busy writing about movies for money or washing tiny plastic spoons and sippy-cups. Her stories have appeared or are forthcoming in Beneath Ceaseless Skies, Electric Velocipede, and Daily Science Fiction. She lives in Los Angeles with her husband and daughter (who attended Clarion in utero), and she is currently at work on two novels (so she can procrastinate one by writing the other). Mike is a husband, father and retired Naval Aviator. He now works for a major defense contractor as a helicopter pilot. His first sale was to Black Ink Horror and his first professional sale was to Jim Baen’s Universe. He was the 2009 winner of Jim Baen Memorial Writing contest and SFReader’s 9th annual short story contest. He has also managed to sneak his way into New Scientist magazine and a few anthologies when no one was looking. When he finds the time, he writes science fiction and fantasy stories and agonizes over a half completed novel. 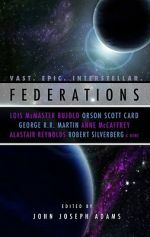 M. Bennardo’s short stories appear in Asimov’s Science Fiction, Strange Horizons, Beneath Ceaseless Skies, and Shimmer, among other markets. He is also editor and publisher of the Machine of Death series of anthologies, the second volume of which is publishing in 2012. He lives in Cleveland, Ohio, but people everywhere can find him online at http://www.mbennardo.com. Jacob A. Boyd lives in Eugene, Oregon with his wife and two dobermans, where he helps run No Shame Eugene theater with a growing circle of friends. 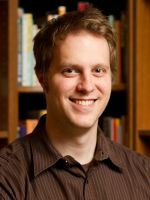 His work has appeared in ChiZine, Daily Science Fiction, and Cosmos Magazine online. 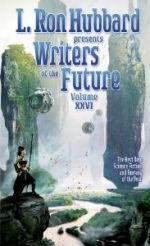 He also has stories forthcoming in volume 28 of the Writers of the Future anthology, Interzone, and Andromeda Spaceways Inflight Magazine. Links to his stories and stage work can be found at his blog: http://jacobaboyd.wordpress.com/. Follow him on Twitter @MisterCanard. Most of what Philip writes ends up being about money or brain chemistry (although genetic engineering and biofuels are right up there). He has a BA in economics and worked for 25 years as a software engineer before a combination of technological and economic forces freed him to eke out a meager existence as a full-time writer. His fiction has appeared in Futurismic and Lady Churchill’s Rosebud Wristlet, and he has a story forthcoming in Asimov’s. He speaks Esperanto and uses it for international communication. Visit Philip’s website for more information about his writing life. 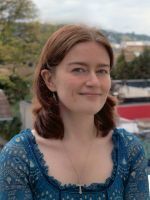 A writer with a lifelong passion for science and science fiction, J. Chant lives in Cambridgeshire in England with her husband and daughter, and is studying for a degree in history. Her science fiction has also appeared in Daily Science Fiction and Raygun Revival. Adam lives in Exeter in the United Kingdom with his partner and son. He mostly writes science-fiction or fantasy, but dabbles in horror/dark fantasy when the mood grabs him by the ankle and hauls him into the shadows. 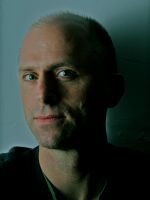 He is a recent winner of Writers of the Future; his sci-fi story, ‘Not in the Flesh’, appears in the twenty-sixth anthology of the series (2010). 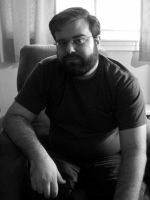 Adam’s works have also appeared in Orson Scott Card’s InterGalactic Medicine Show, and Dark Spires Anthology as well as other print and online venues. You can keep up with Adam at his blog: www.adamcolston.co.uk/wordpress. 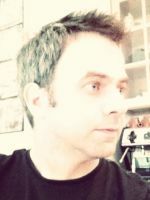 Jeff Cross has been fascinated since grade school by tales of giant robots, space battleships, and fantastic journeys. Born and raised in Nashville, Tennessee, he now lives in the Washington, DC area with his wife, three children, and many pets. In between juggling family life and work, he is working on several short stories. 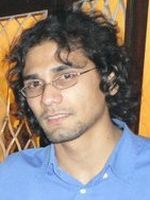 Indra is a writer and artist from Kolkata, India. In 2008, he graduated with a BA in English and Creative Writing from Franklin & Marshall College, in Lancaster, Pennsylvania. He is currently in Vancouver working towards an MFA in Creative Writing at the University of British Columbia. His short fiction has appeared in Flash Fiction Online, and is forthcoming in The Speculative Ramayana Anthology, slated for publication in 2011 by Zubaan Books (India). 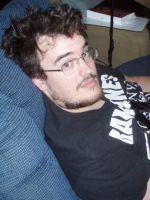 He is also a short fiction reviewer for Tangent Online. Amanda is a combustion engineer working in Pennsylvania. “On the Sabbath Day Be Ye Cleansed” was inspired entirely by a line in her employer’s standard troubleshooting manual. 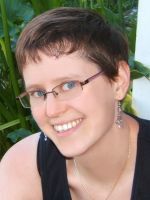 Her work has appeared in Shock Totem, Daily Science Fiction, and others. She takes bread-baking, aphid-killing, and schlocky horror movies very, very seriously. You can read more of her work at http://www.amandacdavis.com or follow her on Twitter at @davisac1. Eric Del Carlo is the coauthor, with Robert Asprin, of the Wartorn fantasy novels published by Ace Books. They also collaborated on NO Quarter, a pre-Katrina murder mystery written when they were neighbors in the French Quarter of New Orleans; this novel is published by DarkStar Books. 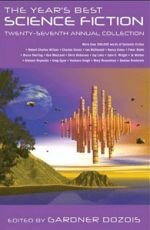 Eric’s solo short fiction has appeared in Strange Horizons, Futurismic, and many other places, and is upcoming in Asimov’s. He currently lives in his native California. Morgan Dempsey is a software engineer, currently living in Silicon Valley, California, USA. She blogs at Inkpunks (www.inkpunks.com) and reads slush for Scape (www.scapezine.com). Her fiction is also in Broken Time Blues, an anthology of 1920s speculative fiction. Her personal blog is at www.geardrops.net and she tweets obsessively at www.twitter.com/geardrops. RL Ferguson lives in Green Bay, WI. He misspent his youth running “Rogue Traders”, a hybrid Role Playing Game/Warhammer 40k/Collectible Card Game/Comic Book/Cyber Café in his hometown from 1996-2008. He has a degree in History and Mathematics from the University of Wisconsin-Green Bay, but still wonders what he will do when he grows up. He currently shares his life with his wife of twelve years, two dogs, and two cats, all of whom wonder what he is doing hiding in his office all day. 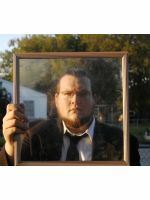 RL Ferguson serves up fantastic serial tales at Colbyjack.net in text and solo read podcasts. 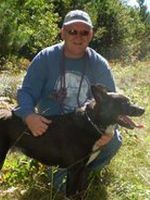 Jay has been a professional writer since the late 1990s, with everything from encyclopedia entries, radio & television commercials, technical articles and (somehow) a weekly trivia column to his credit. For his efforts, he’s been cited as a source in the Wikipedia, lambasted publicly by John Scalzi and earned a regular radio gig (for more trivia questions) in Chicago, where Jay doesn’t live. Redstone is the first venue to actually pay Jay to write fiction. He hopes it’s the start of a trend. You can find out for sure at www.jaygarmon.net. When she’s not writing, Rhiannon is a real live lab archaeologist. The “lab” part means that her job of analysis begins when the others come back from playing in the dirt. The “real” part means that fedoras, bullwhips, aliens, and dinosaurs are in short supply. Saying she helps her employer assure that developers are in compliance with federal and state cultural resource management laws might not have the same ring, but she’s happy to indulge her imagination in her own worlds instead. 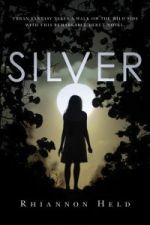 Her debut novel, Silver, the first in an urban fantasy series from Tor, will be out in June 2012. 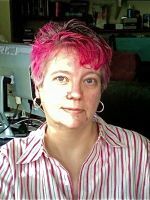 Besides being a writer of crazy fantasy, space opera and hard Science Fiction, Patty is slush reader and editor at Andromeda Spaceways Inflight Magazine. She blogs at Must Use Bigger Elephants about writing, about science, about editing and about slush piles. 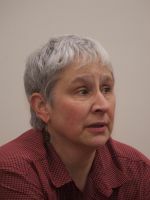 Patty is a winner of the second 2010 quarter of the Writers of the Future Contest and has published in the Universe Annex of the Grantville Gazette. She lives in Sydney, Australia where, once upon a time before children came along, she and her husband used to go SCUBA diving. We follow her on twitter at @pattyjansen. Michaele Jordan was born in Los Angeles, bred in the Midwest, educated in Liberal Arts at Bard College and in computers at Southern Ohio College. She has worked at a kennel, a Hebrew School and AT&T. She’s a bit odd. She lives now in Cincinnati with a grumpy cat, a long-suffering husband and many invisible playmates. 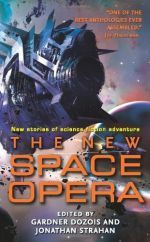 Her first novel, Blade Light, was serialized in Jim Baen’s Universe. Her new novel, Mirror Maze, is on the stands now, thanks to the good people of Pyr Books. Rahul Kanakia grew up in Washington, D.C.. He graduated from Stanford University with a B.A. 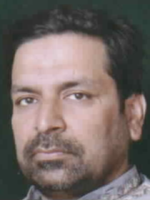 in Economics in 2008 and subsequently returned to D.C. to work for the World Bank on environmental operations in India, Pakistan, and Bangladesh. He currently lives in Oakland, C.A., and works as an international development consultant. In the fall of 2012, he will be starting a Master of the Fine Arts program in Creative Writing at the Johns Hopkins University Writing Seminars. 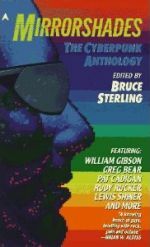 He has sold short stories to Clarkesworld, Apex, the Intergalactic Medicine Show, Redstone, Nature, and Lady Churchill’s Rosebud Wristlet. He also serves as a First Reader for Strange Horizons. 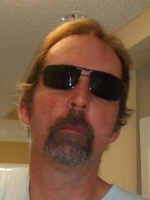 You can follow him on his blog, Blotter Paper, and follow his Twitter Feed. Ahmed is a Canadian writer, primarily of speculative fiction. 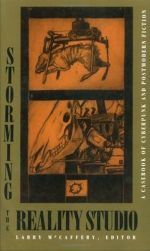 His works have appeared in several magazines including Interzone, Strange Horizons, Skive, Anotherealm, and others. His collection of short stories, Sparks, is available from Golden Acorn Press and Amazon. He has also edited the anthologies, SF Waxes Philosophical and A Mosque Among the Stars. He maintains a blog at Live Journal. Kristen is a 23 year old English major currently attending the University of North Florida. Though balancing grades and writing is sometimes difficult, his award-winning fiction and poetry has appeared at dozens of websites, books and journals. You can follow him on twitter at http://twitter.com/kristenleeknapp or check out his occasionally updated blog at Life From The Slush Pile. Although Patrick doesn’t remember it, the first spacewalk took place on the day Pat was born. Since then, he’s tried to keep up with space exploration, culminating with watching Atlantis lift off for the final servicing mission to the Hubble Space Telescope. 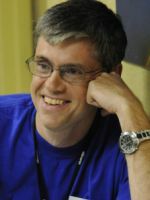 He’s been writing since 2001, and his story, “Space Hero” won the Grand Prize in the 2010 Jim Baen Memorial Writing Contest. 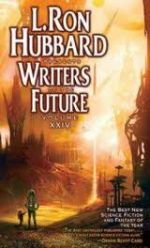 His stories have appeared in Writers of the Future Volume 24, Space and Time and Flash Fiction Online. Ken graduated with a B.Sc. in Zoology from Glasgow University in 1976. 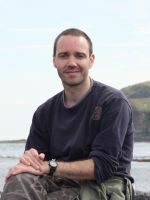 Following research in bio-mechanics at Brunel University, he worked as a computer analyst/programmer in Edinburgh, but he is now a full-time writer. 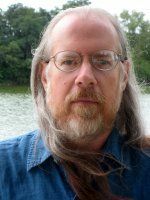 Ken has written several novels, and most of Ken’s work has been nominated for genre awards, including the Hugo and Nebula, and three of his books have received the Prometheus Award. 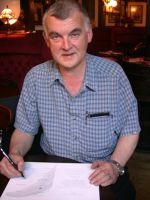 His 2008 novel, The Night Sessions, won the 2008 BSFA for Best Novel. His latest novel, The Restoration Game, was recently released. He has also written several short stories, some of which were collected in Giant Lizards From Another Star. You can follow Ken at his entertaining blog, The Early Days of a Better Nation. He lives in West Lothian, Scotland, with his wife and children. Bonnie was born and raised in Prescott, Arizona, and still lives there, one of the few who can call herself a native. She works as a pharmacy technician for the Veteran’s Administration. An only child, she told stories for her own entertainment from an early age, and is surprised and humbled that others enjoy them. Her work has appeared in the magazines Parchment Symbols, Black Satellite, The Vampire’s Crypt, Tales of the Talisman, and Kaleidotrope. Drop by her LiveJournal, Red Headed Femme, or follow her on Twitter @redheadedfemme. 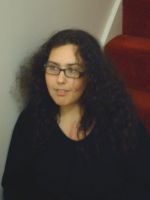 Lynette Mejía writes science fiction, fantasy, and horror prose and poetry. 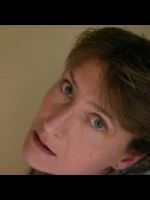 Her stories have appeared in “The Absent Willow Review”, “Everyday Weirdness”, as well as the anthologies “Children of the Moon” and “Penny Dread Tales, Volume 1″. 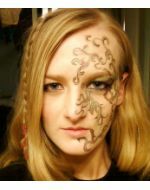 She is currently working on a master’s degree in English at the University of Louisiana-Lafayette with a concentration on Pre-Raphaelite poetry and creative writing. She is also hard at work on her first novel. She lives in Lafayette, Louisiana with her husband, three children, four cats, and one fish. Born on the cusp of the first hydrogen bomb’s test detonation, Chris’s formal education includes a university degree and a college diploma. His legitimate professions (of longer than a day, in no particular order) include stock boy, paper boy, pot washer, baker’s helper, geriatric orderly, union rep, painter (of apartments, not canvases), farm hand, technical writer, baby-sitter, software developer, line cook, dish washer and restaurateur. He has two sons, one granddaughter, and has always wanted to be a writer. His stories have been published in Cosmos, The Barcelona Review, Nossa Morte, and elsewhere. 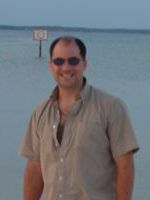 Daniel teaches a variety of writing courses at a small college in Northeast Florida. 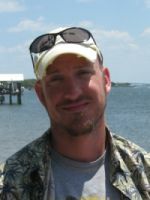 He is an avid outdoorsman and long-distance runner, and he enjoys fishing the waters of Duval County from atop his kayak. Daniel shares a small house near the Intracoastal Waterway with his wife, Jeanne, and his daughter, Lyla. The Byproduct is his online journal about speculative storytelling. 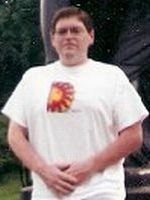 Robert Pritchard grew up in California and Washington State. He attended Whitman College and studied to be a teacher in New Zealand but never practiced the trade. Today he lives in San Diego and is still waiting for the world to shower riches, fame, and happiness upon him. 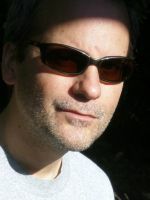 His fiction has appeared in Zahir (“Aristeia” Summer 2008 and “Pasquale on the Evolution” Fall 2007) and his nonfiction in The New York Review of Science Fiction (“The Collapsing Crutch” Feb. 2008). Hannu was born in Ylivieska, Finland. 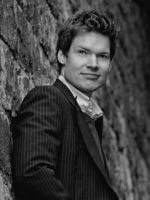 He studied mathematics and theoretical physics at the University of Oulu and completed a B.Sc. thesis on transcendental numbers. He went on to complete Part III of the Mathematical Tripos at Cambridge University and a PhD in string theory at University of Edinburgh. 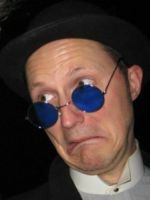 Hannu is a member of an Edinburgh-based writers’ group which includes Alan Campbell, Jack Deighton, Caroline Dunford and Charles Stross. His first novel, The Quantum Thief, is published by Gollancz in the UK and coming out from Tor in spring 2011. Cat lives and writes in the Pacific Northwest. Her collection, Eyes Like Sky and Coal and Moonlight, is a 2010 Endeavor Award finalist. 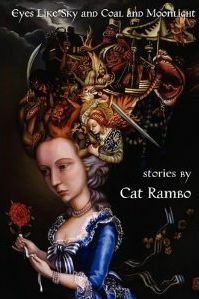 Her short stories have appeared in such places as Asimov’s, Weird Tales, and Tor.com. Her website is located at http://www.kittywumpus.net. Redstone SF interviewed Cat in our June 2010 issue. 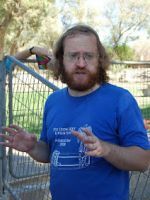 Alter is a field archaeologist and scientific editor who lives in Jerusalem, Israel with his wife Naomi, and their son Uriel. He likes good books, bad movies. Alter’s work has appeared in Daily SF, Abyss & Apex, Ideomancer, and elsewhere. Gray retired from the US Air Force after a rather odd career. He kept rocket pro- pulsion research operations safe, fought fires as head of a Disaster Response Force, trained AFROTC cadets, refurbished space launch facilities, “flew” Milstar satellites, drove trucks, processed nuclear command and control orders, commanded the Air Force’s largest satellite tracking station, and wrote speeches for top Air Force leaders. 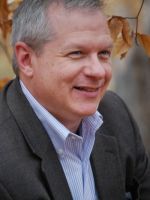 Gray’s fiction has appeared in Tales of the Talisman and Zahir, and he has written a variety of nonfiction works. 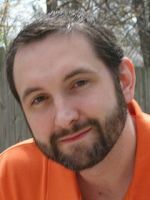 He is a Contributing Editor for Baen Books and a writer/extension specialist for the Industrial Extension Service at N.C. State University. His web site is The GrayMan Writes. Peter grew up near Pittsburgh, Pennsylvania, and earned a BS at the University of Pittsburgh. He currently lives in central Ohio. 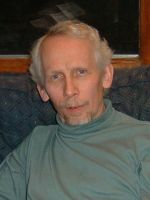 Over the past thirty years or so, he has had poems and stories published in various genre and literary magazines, including Asimov’s, Star*Line, Nature, Astropoetica, Ars Medica, Abyss & Apex, Bitter Oleander, and several other publications. He has poems forthcoming in Illumen, Crow, & Lilliput Review. For a more complete list of publications, and additional personal information, visit his website. 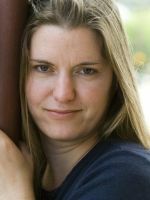 Like most of the population of Huntsville, Alabama, Cheryl Rydbom is an engineer, specifically a software engineer, married to another programmer. She’s currently taking a leave of absence to stay home with their twins. 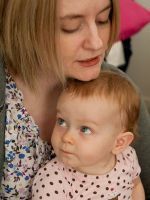 Now she writes to maintain her sanity in the midst of toddler tempers and poopy diapers. Her story, “Sun Kissed”, will soon be published as part of Silverland Press’ YA paranormal anthology. Siobhan Shier spends her time aspiring to be a mars colonist and standing in the background of TV shows. She enjoys putting double sided tape on her cat’s feet, dancing wildly in any situation, and arguing with random strangers on the internet. She suffers from a novel writing addiction for which she is seeking professional help. An affection for feisty heroines is required. Ferrett wrote for twenty years, but wasn’t much good at it. Then he attended the 2008 Clarion Writers’ Workshop and was reborn. Since then he’s published seventeen stories in places ranging from Asimov’s to Beneath Ceaseless Skies to this extremely fine joint right here, which he’s proud to be in. He lives in Cleveland with his wife, a well-worn copy of Rock Band, and a friendly ghost. 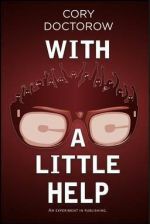 Visit his site at www.theferrett.com (two Rs, two Ts) to see his latest blatherings on politics, polyamory, and puns. Steve grew up listening to his dad’s ghost stories and never recovered. 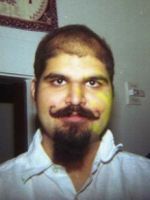 He attended Uncle Orson’s Literary Boot Camp in 2009 and currently lives in Oklahoma in a small house full of girls. His stories have appeared in Intergalactic Medicine Show, Daily Science Fiction, and others. 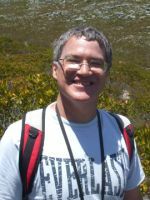 His nonfiction blog posts have been featured by Science Fiction and Fantasy Writers of America. 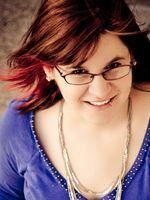 Amy is a SF/F and YA writer, as well as a musician. 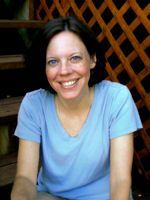 Her fiction has appeared in Daily Science Fiction and the Fantastic Tales of the Imagination anthology, among other places, and her essays have been featured on the SFWA blog. She lives in California with her husband, their little dog, her piano, and lots and lots of books. 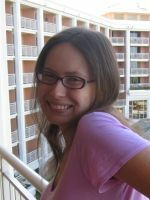 She blogs regularly at practicalfreespirit.com and is on twitter as @amysundberg. 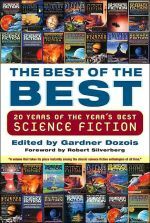 David’s science fiction, fantasy and horror short stories have appeared in over thirty markets, including Lightspeed, Bull Spec, Digital Science Fiction and John Joseph Adams’s zombie best-of anthology The Living Dead. 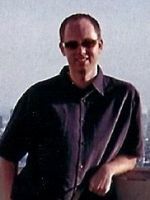 Amongst other projects, David has also published poetry (in Chiaroscuro), various film reviews and articles, and comic scripts through the award-winning British Futurequake Press. 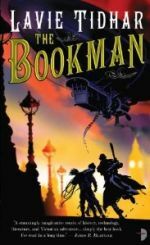 David’s first novel, comic fantasy adventure Giant Thief, will be published in early 2012 by UK publisher Angry Robot, to be closely followed by two sequels. He can be found online at http://davidtallerman.net/ and http://davidtallerman.blogspot.com/. 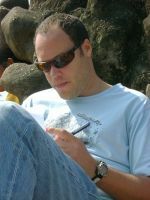 Lavie grew up on a kibbutz in Israel and has since lived in South Africa, the UK, Vanuatu and Laos. 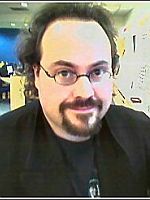 He is the author of steampunk novels The Bookman (2010) and forthcoming Camera Obscura, literary novel Osama, and weird SF novel Martian Sands (all three in 2011). 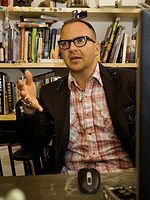 He is also the author of linked-story-collection HebrewPunk (2007), novellas Cloud Permutations (2010), An Occupation of Angels (2005 UK; 2010 US), and Gorel & The Pot-Bellied God (also in 2011) and is a prolific short story writer. Keep up with him at his entertaining blog. Desmond is the author of more than two dozen short stories in the science fiction, fantasy, and horror genres. 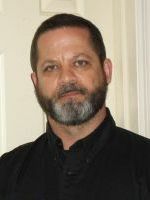 His work has appeared in a number of periodicals, including Abyss & Apex and Shroud, and in anthologies such as Night Terrors (Blood Bound Books) and Timelines (Northern Frights Publishing). He lives and writes in northwestern Pennsylvania. He’s been a wrestling fan since 1986 and doesn’t care who knows it. Chuck is a long time reader of science fiction. After thinking about writing for a few years, he finally decided to jump in with both feet. Currently living in Huntsville, he is an electrical engineer by day. The support of his wife and children make writing possible for him.